The sunlight slants down at a golden angle, and our pace slows. Nights are cooler, and days begin to shorten. 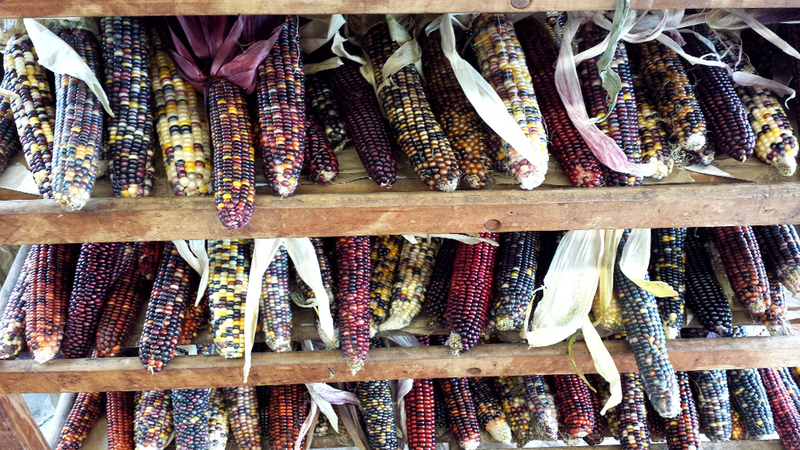 The market is bursting with the colors of fall - oranges, red, golds and splashes of purple. Everything smells amazing. 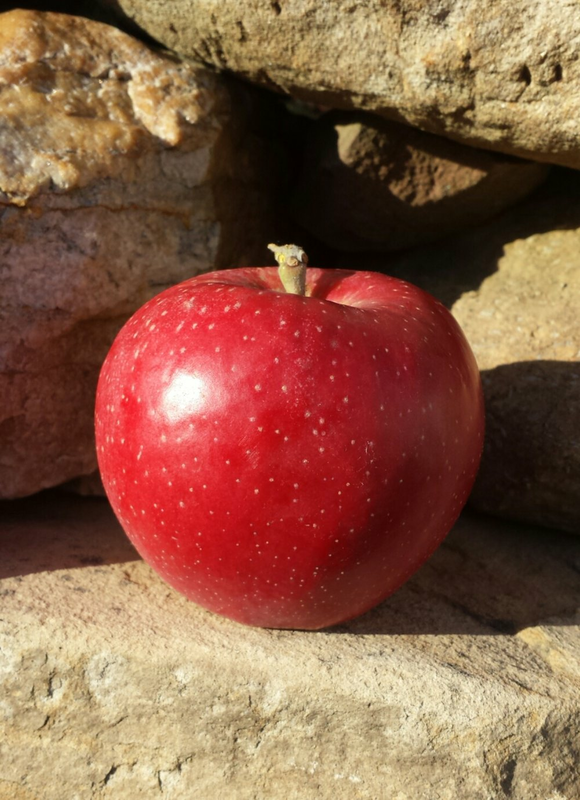 Every week, a new apple variety arrives. 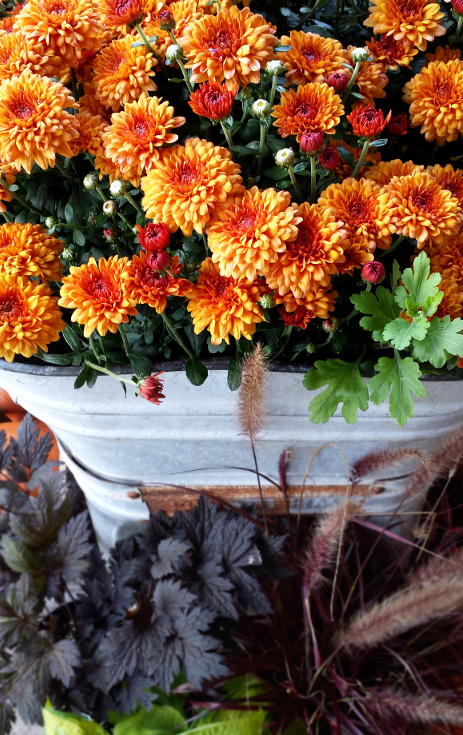 As soon as you step foot in the market, you're surrounded by the unique perfume of fall. Apples, cinnamon, concord grapes, and the smell of falling leaves. 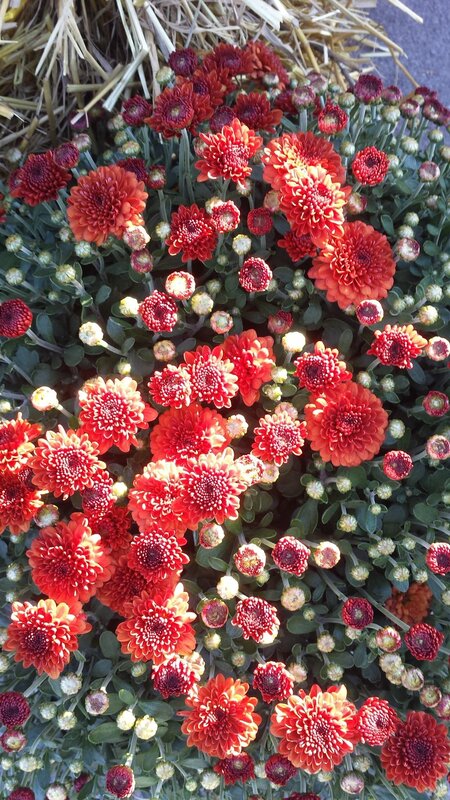 Outside, a carpet of blooming chrysanthemum goes from the side door to the greenhouse. 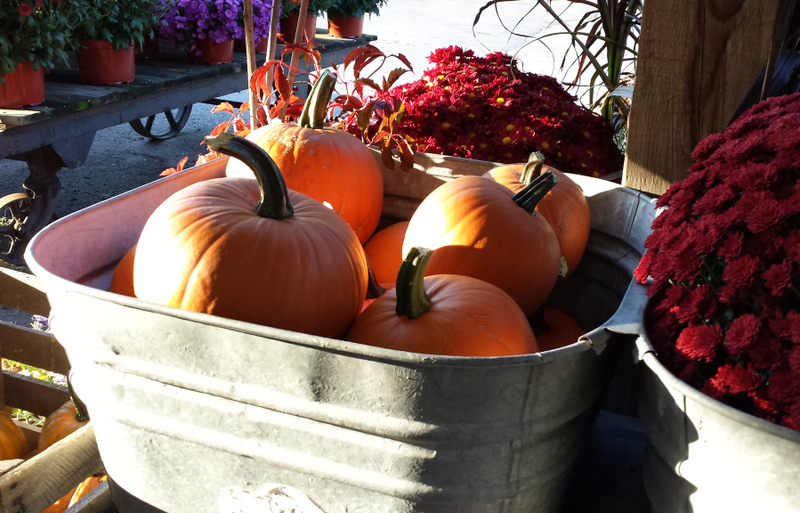 Straw bales and crates of gourds in every shape and color appear around the front porch. 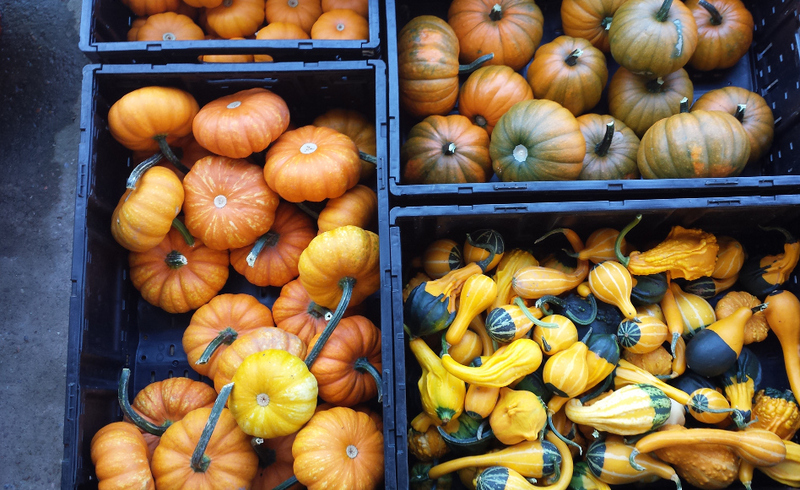 Our front yard fills with carving pumpkins - white, orange, red, grey, tan, black, warty, smooth, tall, squat. When the ground is finally too hard to shovel, the perennials are tucked away in the greenhouse for the winter. The first snowflakes drift down. The fields are quiet. 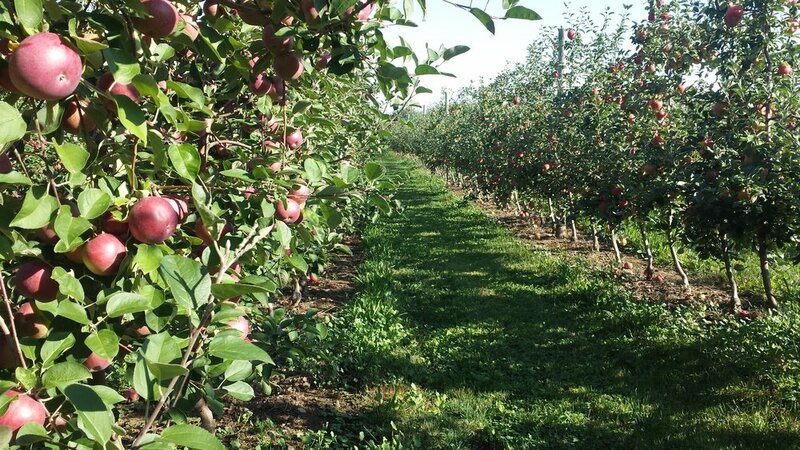 With a rumble, the last apples are trucked out of the orchard and we batten the hatches at the farm market, preparing for cold weather.